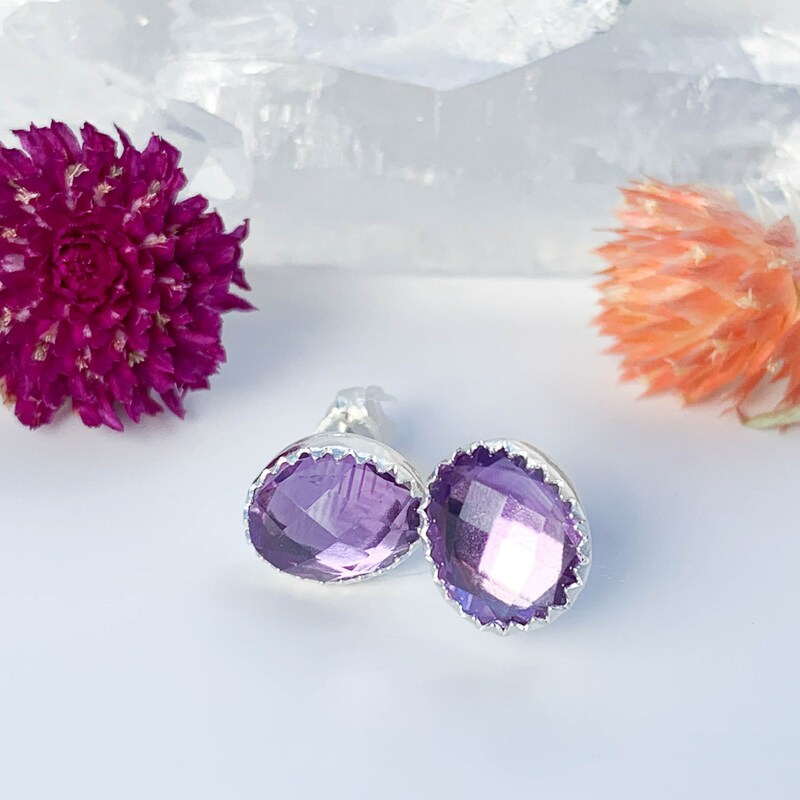 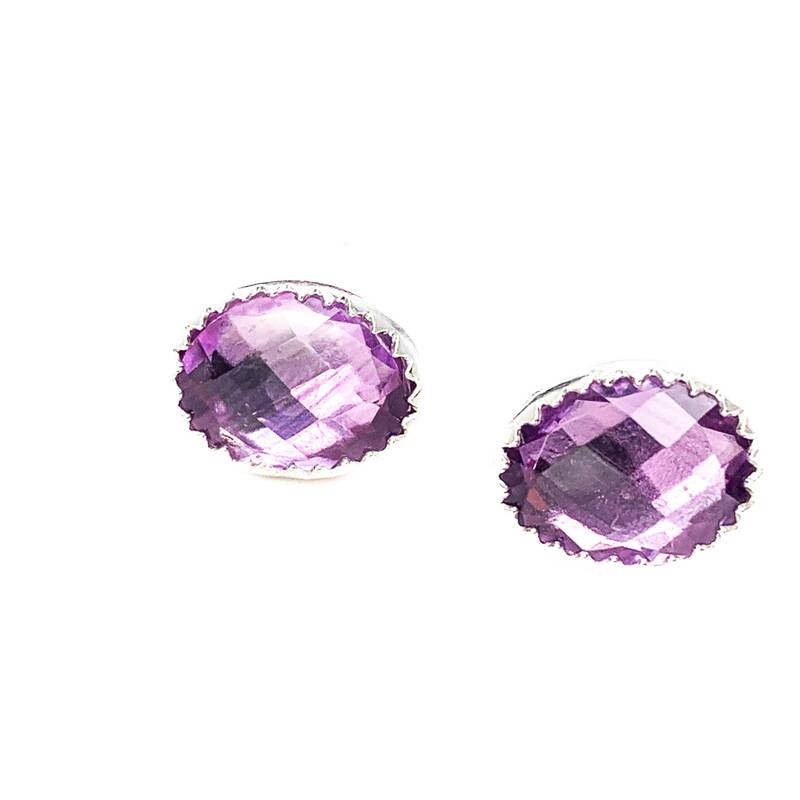 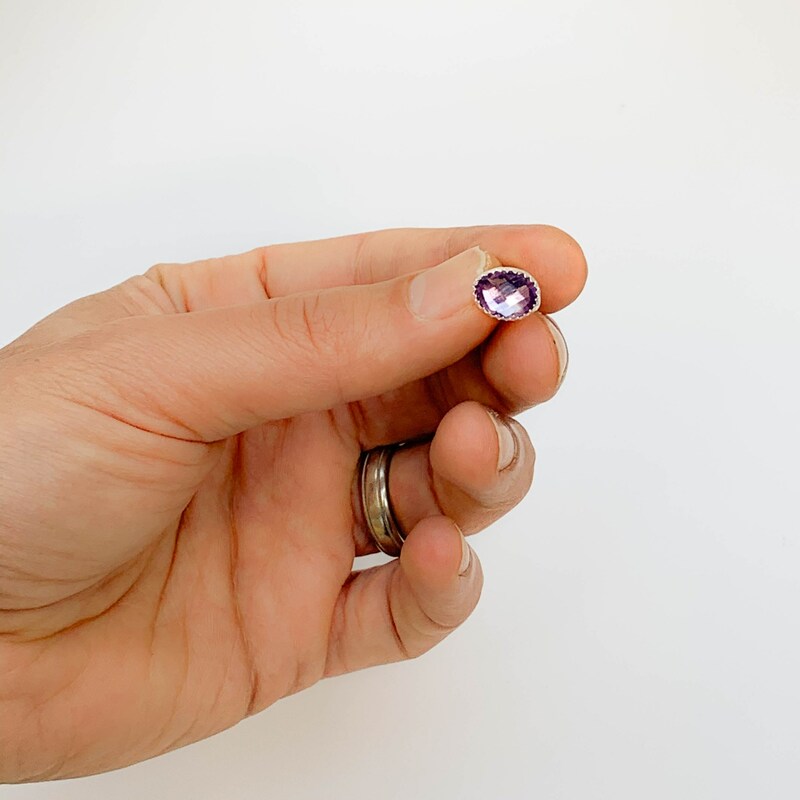 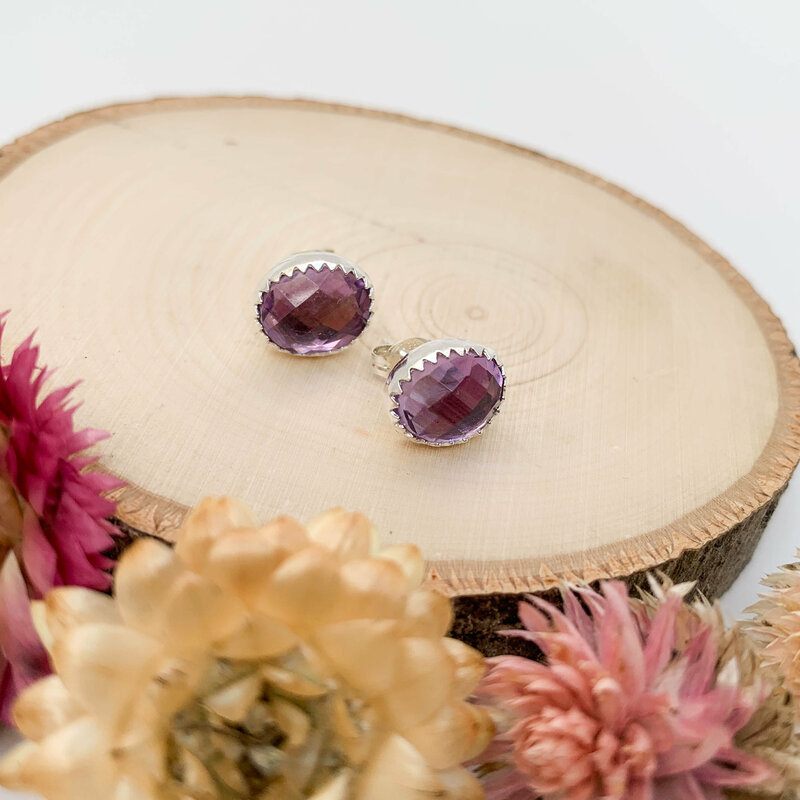 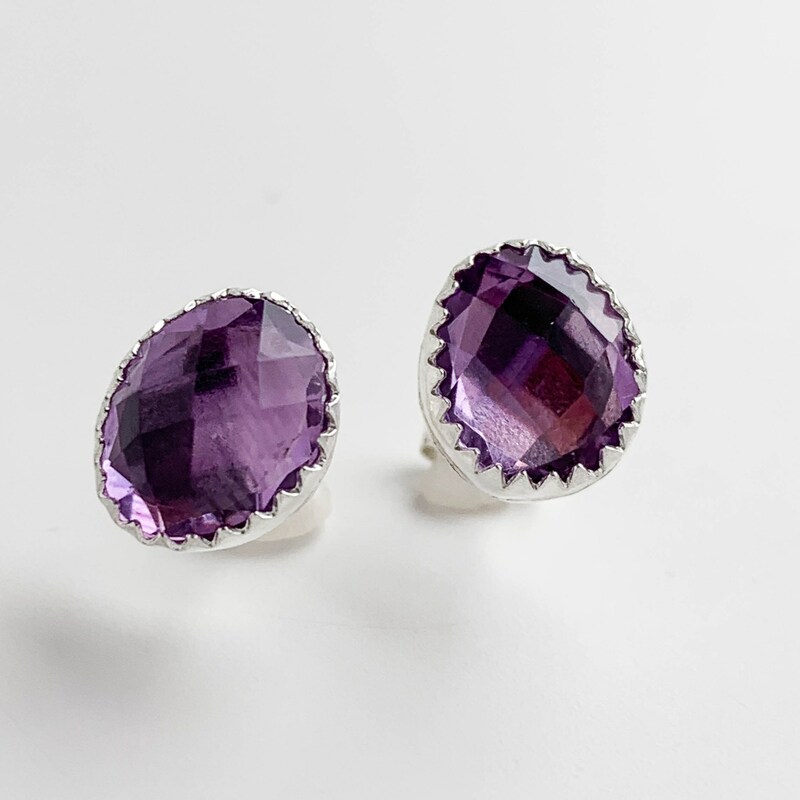 These sterling silver stud earrings were made with stunning natural amethyst gemstones. 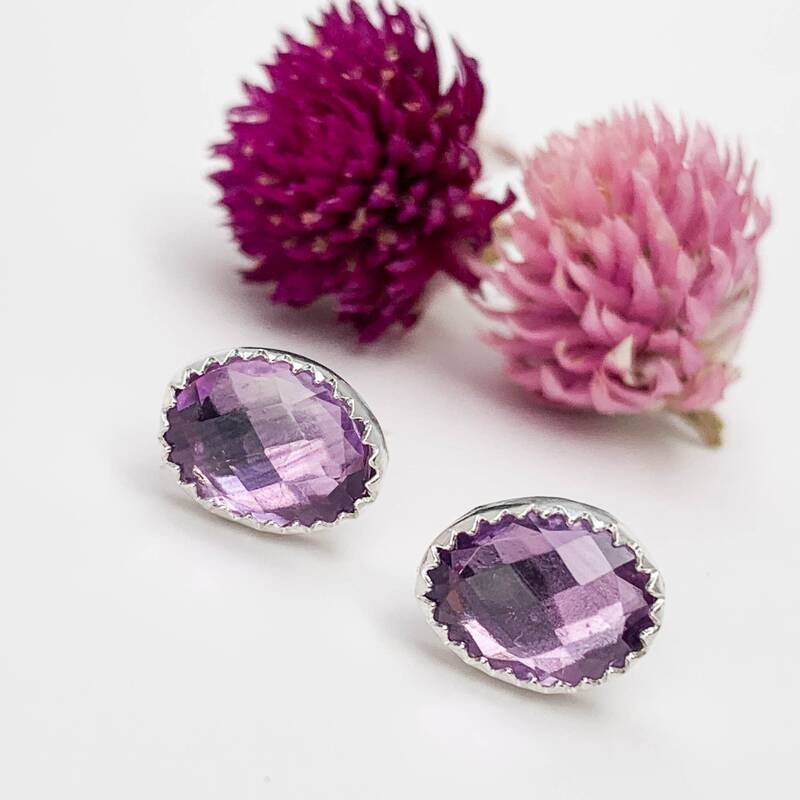 The stones are faceted beautifully and really sparkle! 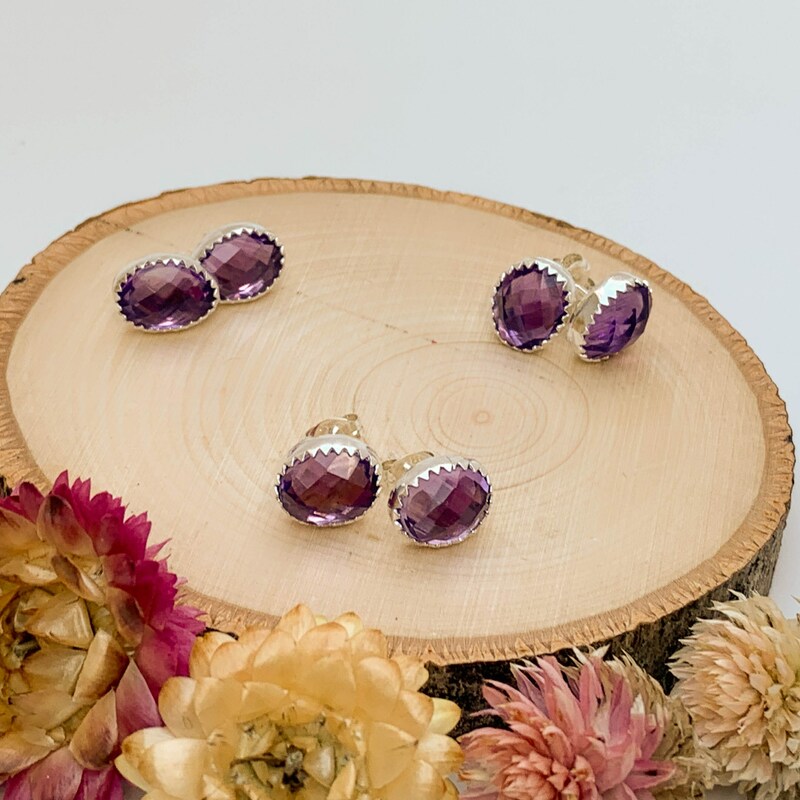 They're a great pop of color for any outfit. 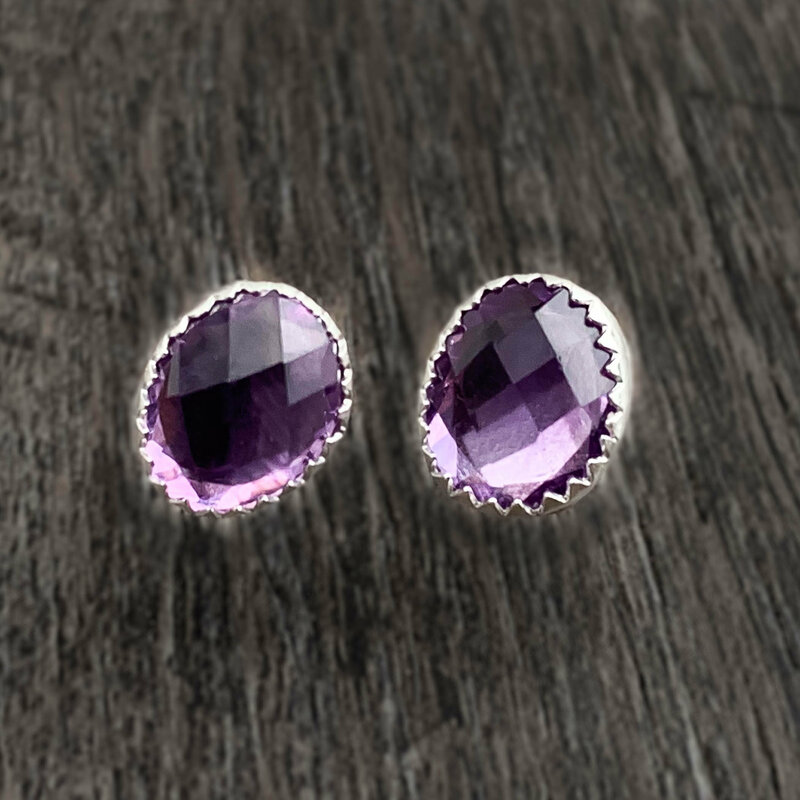 They are lightweight and comfortable enough to wear everyday. 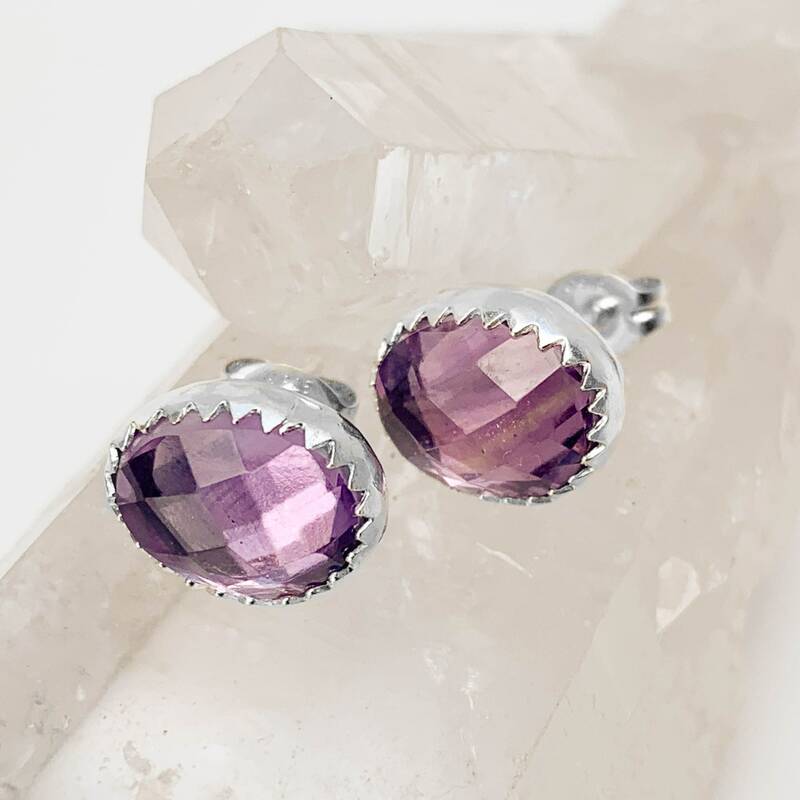 Really lovely earrings. 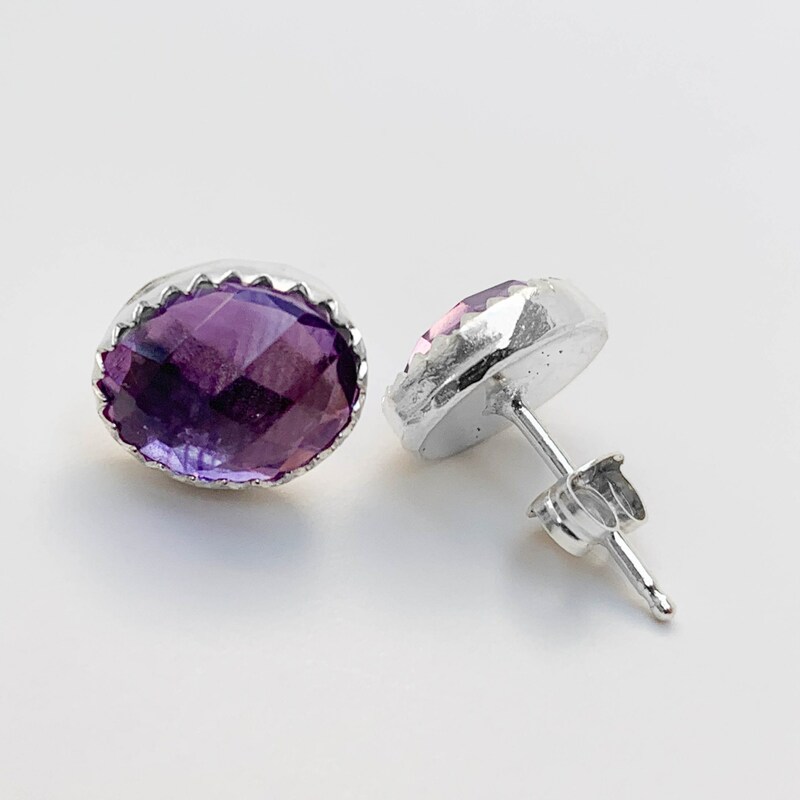 Everything from this shop is always beautifully made.